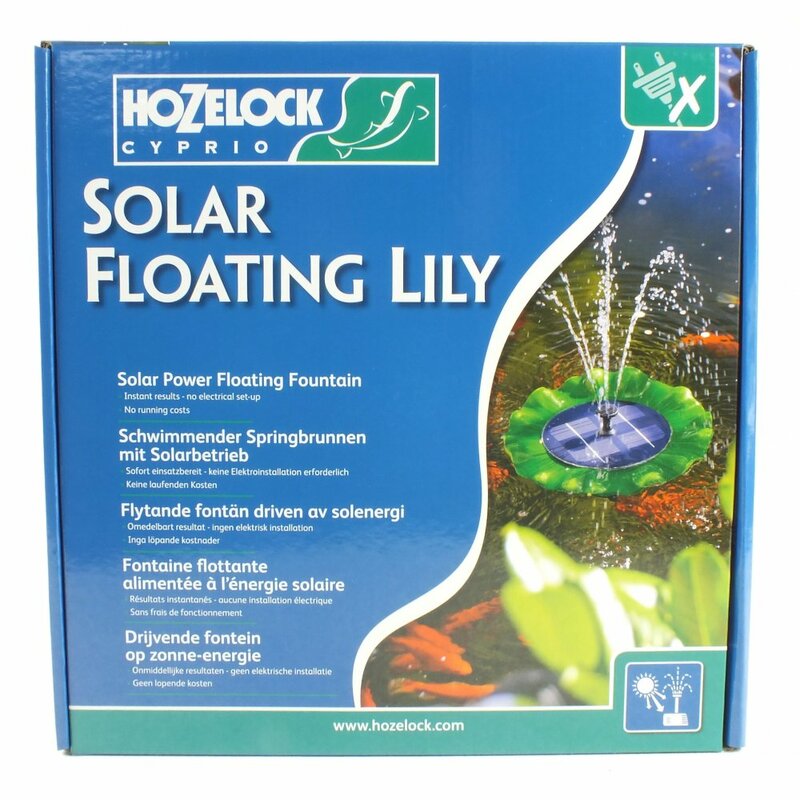 Hozelock Solar Floating Lily, an attractive pump for your ponds surface. 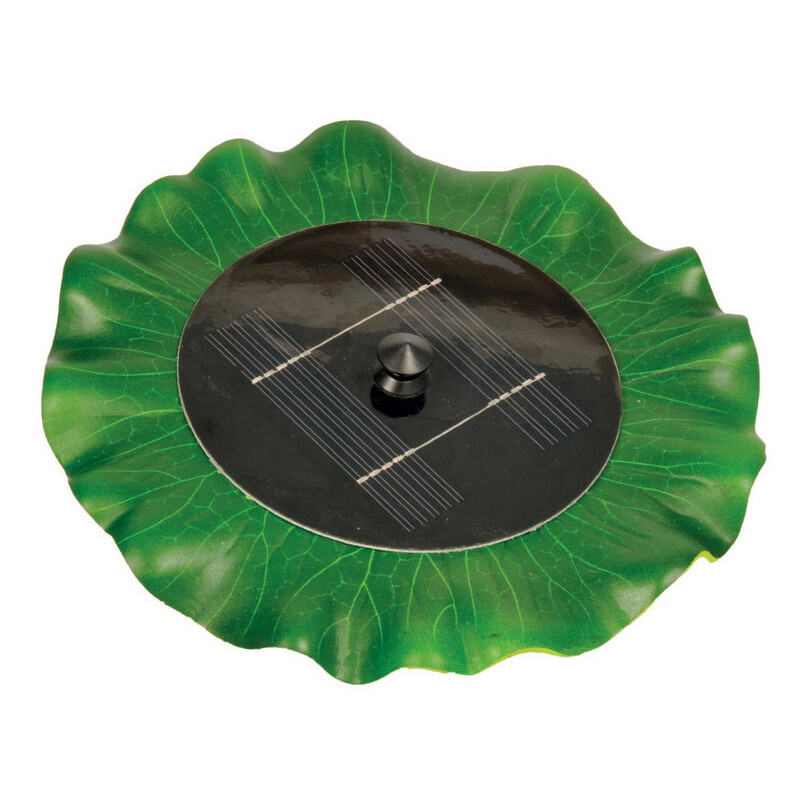 The Floating Solar Lily sits on the water surface and uses the days sun rays to power the fountain pump. Its intergrated solar panels are positioned in the centre of the pad and face straight up in order to catch the most of the suns power. The small 150 LPH pump is hidden underneath the lily and produces an attractive fountain stream by way of 3 different fountain head attachments. Because the Lily is powered solely by the sun, there is no running costs and no complicated electrical set up. Simply pop the pump in place and position in your pond.